Whats App is god sent. Period. The other day I over heard to ‘biharis’ (I’m sorry there’s no other less offensive term I could use) in an intimidate discussion over whats app. The first one said “yaar tujhe pata hai ye aajkal naya chat aya hai phone par“. The other one “haan pata hai, What Apps“. And now we all call it What Apps! now I’m…..big time! And the smileys. Oh the smileys. There’s a smiley for EVERYTHING. 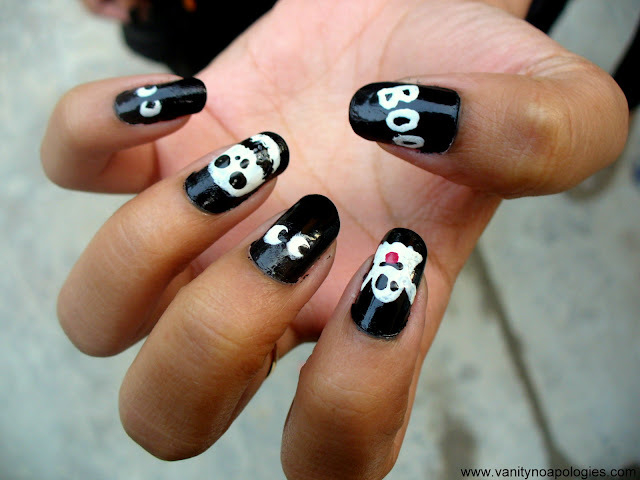 My friend Shruti put those smileys to good use and surprised me with this Halloween manicure. You see the ghost on the index finger? That’s the whats app ghost we call casper. Its the cutest ghost ever. Can you tell that this nail art was re-done in 10mins after being spoilt. She sends me a photo of it before sleeping and later messages me at 3 in the morning about how she slept while the paint was still wet and how its all spoiled now. 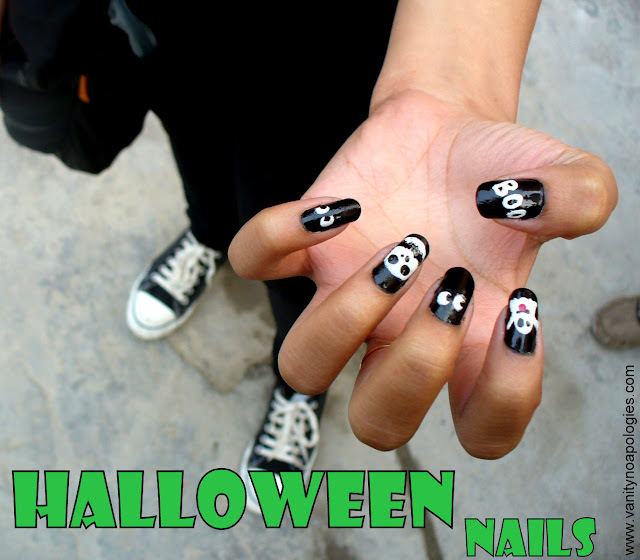 I kinda prepared myself for a nail art-less Halloween but hell no she fixed it! 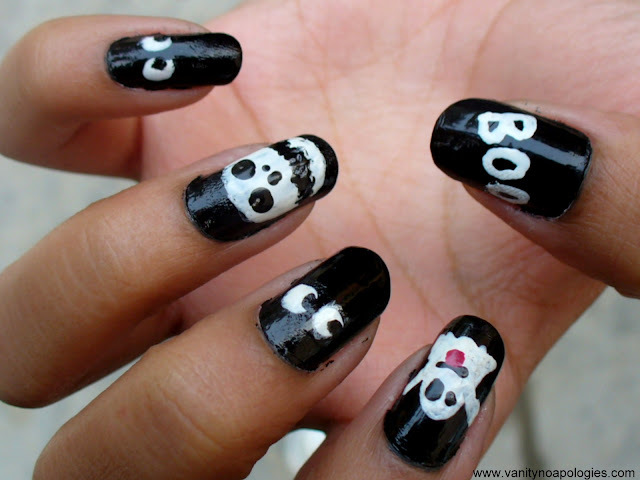 cutest halloween nail art idea ever! Btw we did something very special on Halloween, for the very first time. Watch out for the next post! PS- This girl is very talented at nail art. If you want to request any tutorials then don’t shy away! Awww..this is cute. So how did you did this? What did you use in creating this design? @jiya haha okay I hope I didn’t offend you! @poorva sure. gimme some time!